Microsoft's bone conducting headset, aimed at guiding blind and visually impaired people around busy cities, has been given a useful refresh after trials. The device uses similar technology to that found in Google Glass and is able to receive audio guidance without having their ears covered. The update allows the user to ask for information via voice controls and the clicking sounds, used in the prototype last year, are used less for guidance and only when prompted. The new features are named Orientate and Look Ahead and give the user information on what is coming up in order of distance. Read this: Wearables for good - why are tech companies altruistic? There's also a physical remote, with three buttons, which allows wearers of the headset - who may be using a cane or have a guide dog on a leash - to use this instead of a smartphone. Bone conduction delivers sound to the inner ear, using your skull as a delivery method. 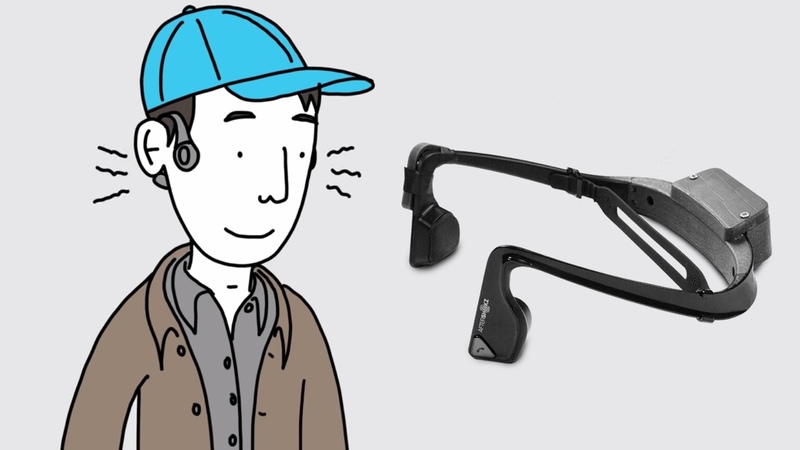 Bone conduction transmission works with people with regular or impaired hearing. For the original Microsoft trials, using a prototype of Microsoft's 3D soundscape technology, the headset teams up with a Windows Phone for GPS data, as well as Wi-Fi and Bluetooth beacons that have been strategically placed in the trial location. Microsoft has teamed up with the charity Guide Dogs and the trials have been taking place between Reading and London, incorporating not only walking directions, but public transport ones as well. The user is directed if they are straying from their path with a ping to the ear on the relevant side and voice directions for turn-by-turn instructions, and points of interest, are also used. All the while, the user is able to hear the real world sounds around them. “Cities need to be built for absolutely everyone, but no one's going to knock them down and make them accessible," explained Chris Yates, customer experience lead for Guide Dogs. “What we're doing is using existing infrastructure and working around it with technology." “We've only done a concept, it's still pure research and development, but the possibilities are endless and the impact is incredible if we get this right," added Jenny Cook, head of strategy and research for Guide Dogs. With this new trial, users have reported to the Irish Examiner that they feel more confident with the software update. Previously, the BBC reported that, out of the eight visually impaired people who originally tested the headset, five reported feeling safer and more confident while wearing it. There's no details yet on what will happen after Microsoft and Guide Dogs have finished the testing phase.